VegasTechFund-backed Local Motors enables innovators to design, build, and sell together. It is where co-creation meets micro-manufacturing to bring hardware innovations to market at unprecedented speed. Local Motors’ global co-creation community is made up of enthusiasts, hobbyist innovators and professionals. The community is full of are designers, engineers, and makers. The team operates a growing global network of microfactories. Each destination is a place where innovators create amazing products and consumers come to marvel and shop. Local Motors CEO Jay Rogers recently spoke with FOX Business about the future of 3D-printed cars. Watch the interview here. 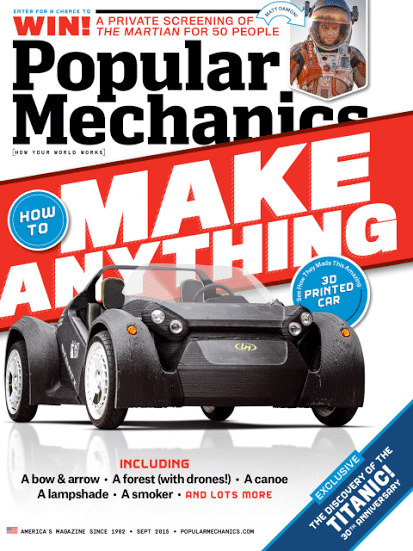 In addition, the Strati was on the cover of the most recent Popular Mechanics issue. Read the story here.